This entry was posted in Worcester Acute Trust News and tagged baby loss, experience, grief, midwife, neonatal death, stillbirth. Bookmark the permalink. When my daughter died 46 years ago,1 day old, I was fortunate to have the support of the Methodist Church, She had a funeral at the Crematorium led by the minister. I was the only mourner. My wife remained in hospital critically ill. Neighbours & friends were great. Even after this length of time the memory is sensitive. We do need to be very careful of the history we create in the present. It becomes very precious. 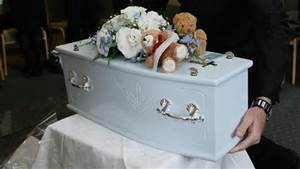 Echoing the comment from Eric, my dad was the only mourner at my brothers internment and then he was only allowed on sufferance,hed been born at home and dad had to take Christopher to the Crematorium himself. Christopher’s death was only marked by mum in the family bible , no marker no grave, nothing, but compare this to my conversation yesterday with a friend whose son and daughter in law celebrated the birth of a year ago of their stillborn son, yes they celebrated his to short life and death she spoke so compassionly of the support they recevied here at worcester how the staff had helped to support them enabling them to grieve how they remember the midwife who stayed over her finish time to be with them. . How the staff are now supporting the family while they take a new journey with a new pregnancy. Christopher was born and died 66 years ago but hes still remembered even if all we have is just a faded entry in a family bible. 24yrs ago our son was stillborn beautiful in every way but not breathing. We had to stay the night in a room on the post natal ward. Babies crying all night and staff too busy and not trained to deal with heartbroken parents. No staff member came into our room all night to check on us. At 7am the cleaner came in and found me crying. Without words she put down her broom and hugged me tightly until I stopped crying. You don’t need to be trained to know how to do the right thing. You just need to allow yourself be human. Such a sad post to read David but I’ve heard how it was for these women a couple of decades ago a few times since my angel was born sleeping four months ago. We are so lucky that things have advanced and we are fortunate enough to have the Fay Turner Suite at Worcester Hospital along with a bereavement midwife to help us through the process. I feel truly blessed to have been allowed all this coupled with you blessing our sleeping angel then doing her church service and burial. Losing a baby is hard enough but we are so lucky now that our baby’s births are acknowledged and we are given chance to grieve. The feature on your blog on stillborn babies and how they were disposed of 49 years ago brings to mind the huge progress made in the late 1980s and 1990s. It was the midwives who first approached me as Chaplain about a memorial book for babies and asked if we could have one in the Chapel, one in which parents could make their own entries. A number of parents then asked me about making entries for stillborn babies from decades earlier and I was happy to oblige. At least one approach came from a Community Psychiatric Nurse supporting a bereaved mother who had been pressured into having an abortion. The Memorial Book provided such a simple tool to facilitate the expression of grief and loss previously suppressed. Below is a poem I wrote about a stillbirth where good grieving was facilitated by the presence of a young sibling being included. Names have been changed. May God continue to bless good relations between the Chaplaincy and staff in providing support for those who suffer such loss. My good friend Rev’d David Southall, Chaplain at the Worcestershire Royal Hospital, wrote this post which focuses on how far things have come in the last few decades. I thought I would share it here for my readers, as it is very poignant indeed.